Thinking About Moving Into Another Home? Re-Think, Remodel! What You Should Know BEFORE You Do! Many homeowners over the years have considered selling their home and going into another one. Primarily because they do not have enough space, bathrooms need updated, kitchen has fallen in disrepair, downsizing or just don’t know what to do with their existing home. Most of the time they love their neighbors and their neighborhood. The schools are great. Love the area and its location. All of our friends are here. Well, don’t worry! There ARE few things you can do to make it easy for you. If you have lived in your home for years and have built up equity, then let’s look at this first. We always hear “I don’t what to over build for the neighborhood”. Let’s say you brought your home 20 years ago for $100,000.00 and by today’s market price it has rose to $195,000.00, you could easily invest up to $95,000.00 and not over build for the neighborhood. Also all the money invested would most likely increase the value of your home. Second: If you want to sell your home for another than let’s talk about the real estate commission unless you sell it on your own. The real estate commission is coming off the price of your home. That’s a pretty good number that could be used on a nice update to your existing home. Third: What’s the cost to get your home ready to sell? This can be anywhere from 5% to 10% of your home’s value. Fourth: When moving into a new home you may have to update the window treatments, paint or replace some flooring for your taste. These are all cost to consider before the move. Fifth: What are the property taxes at the new location? Are there any association fee’s or restrictions you need to know about? Sixth: Than last but not the least is the moving cost. This can be a lot of friends and family helping or hiring a moving company. Don’t forget about the time and disruption at the same time. Over the last few years the home improvement and the overall remodeling market has experienced some major changes. New and better improvements for comfort, easy maintenance, additional space and safety have now become the top priority of consumers. Another thing you can do is to hire a professional and experienced contractor as soon as you know it’s time to move or remodel. A good contractor will help guide you through the process of choosing an appropriate design and let you know what is your best options are according to your specified budget range. Don’t underestimate the invasiveness of a remodeling project when choosing your contractor. It goes without saying that the contractor you choose for any home building or remodeling project should be one you’re comfortable with. You must have complete trust that the company you’re working with will be up on the same page as you from start to finish. 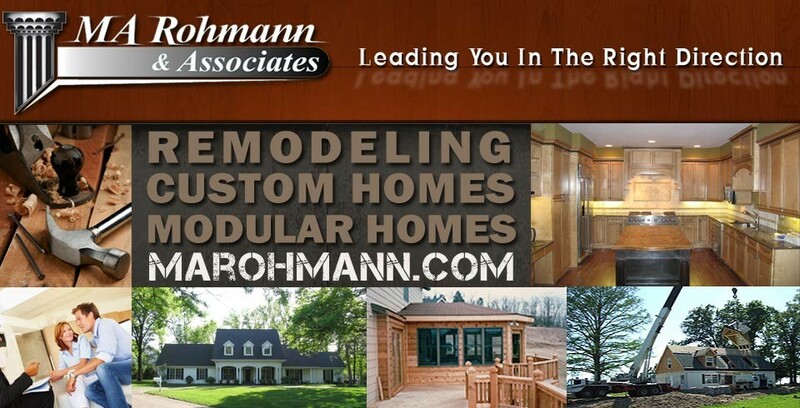 Because some home building and remodeling projects are long, detailed and involve meticulous planning, getting to know and trust the individuals responsible for your project will offer the added peace of mind and comfort necessary for a truly enjoyable building or renovation experience. All in all, redesigning your home might be the only thing needed to make you fall in love with your house again and, at the same time, increase its resale value. With a little effort on your part, you can manage to get a well-designed remodeling plan according to your respective budget. Thinking About Kitchen Remodeling? What You Should Know BEFORE You Start! Over the last few years the home improvement and the overall remodeling market has experienced some major changes. New and better improvements for comfort, easy maintenance, additional space and safety have now become the top priority of consumers. Especially in the case with kitchen remodeling. If you have never done it before, you should know that remodeling your kitchen is a little different than the rest of the house. For starters, there are a few details to look into before you finalize a design for your kitchen like which countertops or cabinets go best together and with the overall remodeling theme. Simply deciding what type of material you want for your kitchen counter or the type of facing for would be best for your kitchen cabinets takes more than a little research. Similarly, there are many other components to look into which may include leaving space for a microwave, trash compactors, dish washers and sinks. Sounds quite hectic doesn’t it? Well, don’t worry! There ARE few things you can do to make it easy for you. For one, you can really limit your choices by keeping to your budget. According to Remodeling Magazine 2012-2013 Cost vs. Value Report, the national average cost for a high end kitchen make over is $53,931. The price range depends upon answering two questions. Is it something the home owners are doing for themselves, for their own enjoyment? Or the need to update to be able to sale their house? Another thing you can do is to hire a professional and experienced contractor as soon as you know it’s time to remodel. The idea will still be yours, meaning that whatever your vision is or whatever you originally planned for remodeling will remain the same, but a good contractor will help guide you through the process of choosing an appropriate design and let you know what is your best options are according to your specified budget range. All in all, redesigning your kitchen might be the only thing needed to make you fall in love with your house again and, at the same time, increase its resale value. With a little effort on your part, you can manage to get a well-designed kitchen plan according to your respective budget. Want to Add More Room Without Adding On? Finish Your Basement! Has it ever occurred to you that beneath your house, you have a huge area which can be turned into anything you want it to be? Maybe there is more to your basement than just storing old furniture and unwanted stuff? If you’ve ever seen That 70’s Show, you would probably have an idea how much of an important area of the house is the basement. It is the perfect place for that unstated need you have for an extra room in the house that could be anything you want. From an at-home bar or a hangout point to an extra room for those guests on holidays, getting your basement finished is one of the best decisions to be made in house renovation. Just think of all the fun you could have and how much you could use all that extra space? People are investing a lot in turning their basement a full-fledged, beautiful and functional living space. The realization of the potential the basement has to offer in context of the various designs and uses that it could be renovated for has started a new industry in itself. Finishing your basement provides you with many advantages. The first and foremost is the value a finished basement adds to your house and that too on a relatively lesser cost. Even doing kitchen and bathroom renovations are much more expensive then getting your basement turned into a functional room. Although you can stay with the same theme, basement designs allows you to be a lot more flexible because you can basically change the whole color scheme and the theme of the basement as compared to the rest of your house. Many people also view this as a mean for extending space in their homes for a larger or growing family. A finished basement also allows you to have a separate bathroom and a kitchen so that if your family is big, you can easily fit everyone in without even having to think of reselling and buying a new house. Similarly with a basement with its own kitchen and bathroom, you can just as easily rent it out and make a steady profit off of it. Even if you don’t want to turn your basement into an extra room, you could still modify it to make it a BETTER place for keeping old and unwanted stuff for better storage options. By installing shelves and cabinets, you can increase the space your basement has to offer. No matter how you see it, the advantages of finishing your basement are sure to make it worth your investment and efforts. The only thing lacking is the imagination!